My friend with whom I stayed lived about fifteen minutes away, on foot, from the Washington Monument. 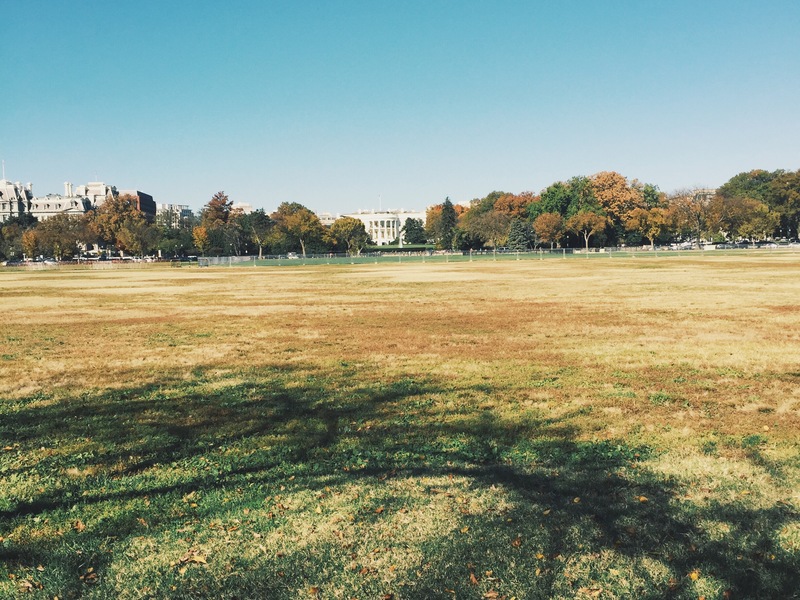 We moseyed in that direction, past the White House, through this huge empty field, to the monument, then turned to walk up to the Lincoln Memorial past the reflecting pool, where we just sat on the steps and looked out. November appears to be an ideal time for visiting; tourists were few, and the temperatures were unseasonably high (in the 70s!) last week. We then crossed over the bridge to the waterfront area, where there are a bunch of restaurants right on the Potomac. Spoiler alert–the food there is average at best BUT they make some ridiculously interesting cocktails. 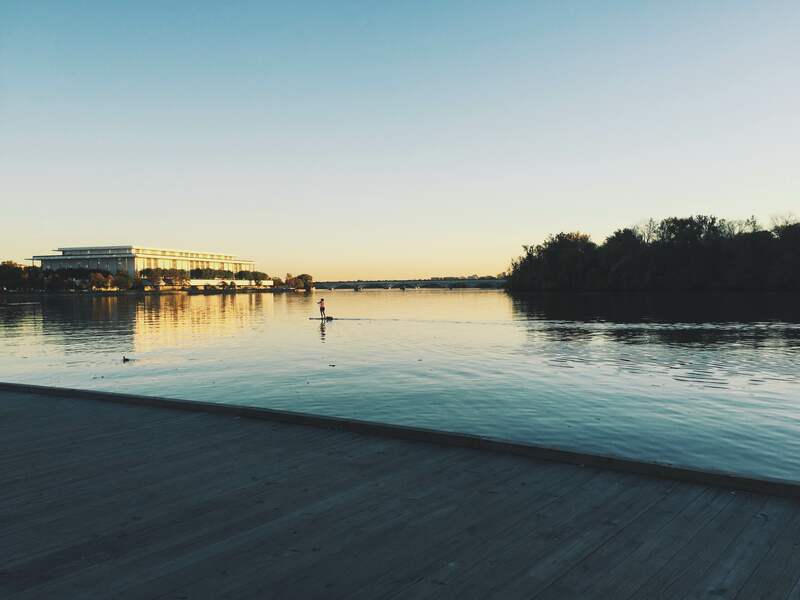 And from there, you can wander into my favorite neighborhood–Georgetown. Think Brooklyn Heights but more spread out with fewer tourists and cuter shops and more places to eat. Definitely one of the cutest neighborhoods I’ve ever had the pleasure of visiting. 1. A Baked Joint We went here for brunch. The food–everything from the quiche to the sandwiches to the cinnamon rolls that are only served on Tuesdays–is fresh and delicious and amazing. The coffee is also amazing. And the place itself is lovely–very spread out (they have so much more space in DC than they do here!) and decorated in this very minimalist-chic way that makes me think of coffee bars in Sweden. Not that I’ve been to Sweden yet. 2. Busboys and Poets We also went here for brunch. The food was delicious (with vegan options!) and also it was just a really cool place. Celebrating artists and writers of color, it’s named for Langston Hughes who worked as a busboy before becoming a poet (though I think those who are poets have always been so). The walls are covered in cool art, there’s a little bookshop, and the coffee was amazing too. There are several locations; I highly recommend a visit. This is by no means an exhaustive list of things to do in DC, just recommendations for the fun I had while there. I’m sure I’ll be back again (hopefully before another four years go by!) and I hope to discover more hidden gems the next time. 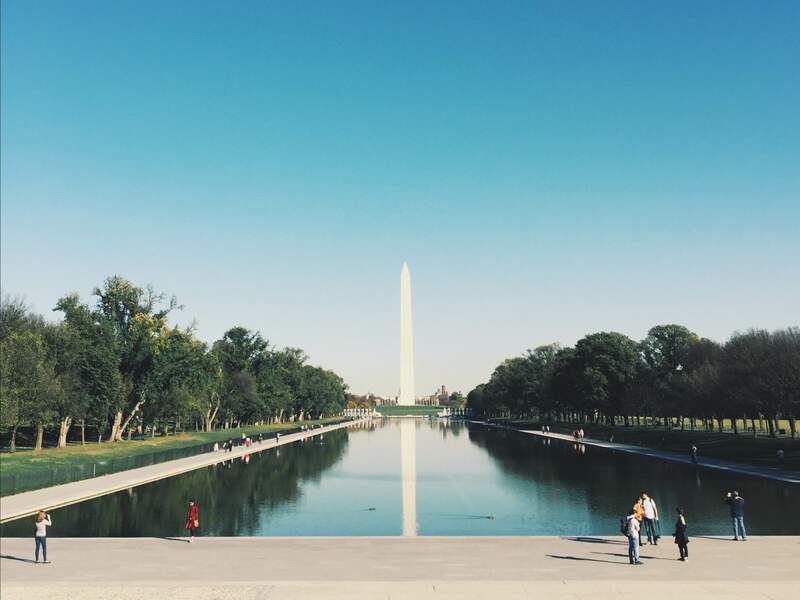 In the meantime, do you have any DC recommendations? Let me know! All photos taken by me last week on my phone, because I forgot my camera.